Former Chadds Ford Township Supervisor Keith Klaver died Wednesday, Jan. 27. He was 68. Klaver had been battling cancer for a number of years and he resigned from the Board of Supervisors in January 2015 for health reasons. Chadds Ford Republican Party leader Mary Kot called the death a tragic loss. “Keith was a tireless volunteer and always a gentleman. He was a great friend to me and to the Chadds Ford community. This is a tragic loss for us all. He will be sorely missed,” Kot said in an email. Former Supervisor Deborah Love was on the board when Klaver was elected in 2011. "Having served with Keith on the Chadds Ford Board of Supervisors was an honor and privilege. 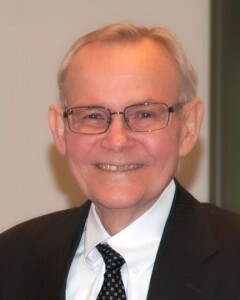 Keith would do his own research on a topic prior to rendering an opinion or a vote, which always stood out as a characteristic of his personality as a public servant. We jointly served as members of the Concordville-Chadds Ford Rotary, where he followed the mission of service that Rotary espouses. The community will miss him," Love said. Current Supervisor Samantha Reiner said Klaver was highly respected and will be deeply missed. An accountant and native of Iowa, Klaver worked at Pricewaterhouse Coopers from 1969 to 2007 and retired as a partner in the firm. He is survived by his wife Jeanne, a son, daughter, and a grandson. Jeanne Klaver said she thanks everyone in the Chadd Ford community who had been so caring during the years her husband was being treated for cancer. "He really had a rough year...The whole community was so good too him and never failed to tell me how much they appreciated him and what he did, so I just want to thank them," she said. "It's a blessing to live in a community like Chadds Ford." She said there would be no memorial service, just a private family service at Westminster Presbyterian Church. Jeanne Klaver later added that the family would appreciate a donation to the Kidney Cancer Association in place of flowers. The township is lowering the flag to half staff in honor of the former supervisor.